It is hard to imagine a world without maps. It is hard | to imagine | a world without maps. The use of maps is so embedded in our daily lives, so essential to our normal functioning, that the idea of a pre-cartographic society is as alien as the thought of a pre-literate one. On top of this, our idea of what it means to be a mapped society is itself confined to our familiarized expectations of what maps are like. How did people get by without maps—or rather, without the sorts of maps we know and understand? It is hard | to imagine a world | without maps. Maps govern the way we think about space, and that extends to imaginary or hypothetical spaces. Without a graphic representation on paper or in our heads, our plans for things not yet built—homes, roads, electric circuits—may be cloudy and ambiguous. They may lack precision in the same way we have trouble with describing things that are outside our linguistic abilities. This is a negative definition of maps as a form of language: to be without a map is to be without language, and it impedes us from communicating ideas in the mind—to others, yes, but also to ourselves. In both of these senses, maps of fictional places are remarkably challenging texts. One of my chief interests in fiction, along with art in general, is how it presents itself as evidence of the way people receive the existing cultural data around them before they process it and spit it back out. (In literary criticism you will encounter words like allusion and intertextuality, but I think of them as subtypes of a broader cognitive activity.) When an author plans out a story’s setting in place, or when a reader attempts to reconstruct it from the words alone, the maps they produce tell us not only how they imagine the depicted geography, but also how they imagine the idea of maps. Furthermore, the author/audience distinction isn’t always sharp: some privileged readers, such as the illustrators at a publishing house or manuscript historians like Christopher Tolkien, participate in the interpretive stage as well as the official construction of the space for everyone else. 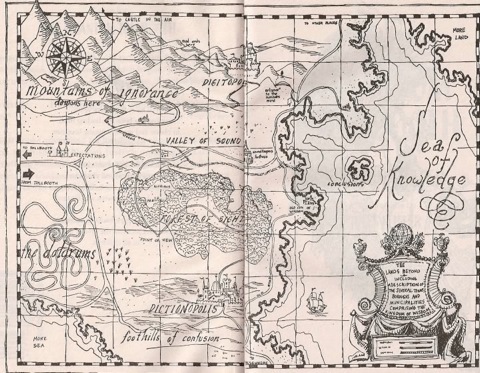 In the post that follows, I am going to informally sketch out a theory of fictional maps, which is to say that I will put up a lot of pretty pictures from novels and talk about why they are neat. There is likely some academic work on this somewhere—I would be astonished if there weren’t—but I’m not aware of any, and certainly nothing that has accounted for modern critical approaches to the history of cartography. Map history and the comparative study of commercial genre literature are niches within niches as it stands, and my aim is to entwine them together. 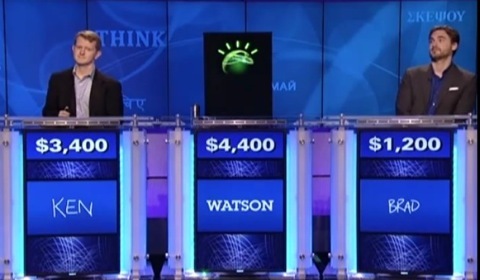 Every article about Watson, IBM’s Jeopardy!-playing device, should really lead off with the sentence “It’s the year 2011, for God’s sake.” In the wondrous science-fiction future we occupy, even human brains have instant broadband access to a staggeringly comprehensive library of general knowledge. But the horrible natural-language skills of a computer, even one with an essentially unlimited store of facts, still compromise its function to the point of near-parity in a trivia competition against unassisted humans. This isn’t far off from saying that particle physics will be perpetually disappointing until we’ve observed the Higgs boson, or that manned spaceflight is merely an expensive publicity stunt that will never be scientifically interesting until we’ve colonized the Moon: it leans heavily on popular culture as the ultimate barometer of scientific achievement, and it requires both ignorance of methodology and apathy towards specifics. Colby and I had a five-minute skirmish about the article on Twitter, which as a format for debate is unwieldy as piss. I promised a proper response as soon as I cleared some other priorities off my plate. Those other priorities are still, to my annoyance, on my plate; but having finally paid good money to register my copy of MarsEdit, I’m thirsting for a scrap. This topic will do as well as any. Reluctant as I am to swing the pretentious hammer of “I know what I’m talking about,” this really is (as the idiom goes) a chance for Faramir, Captain of Gondor, to show his quality. Computational linguistics happens to be my onetime research area, popular misunderstanding of science happens to be one of my favourite bugbears, and Kasparov’s anticomputer strategies against Deep Blue happened to make a cameo appearance in the meandering slop of my master’s dissertation. None of this matters a great deal, mind you. One should never be dismissive of journalists from a position of relative expertise; they’re the ones people actually read, and it’s vital to engage with what they say. 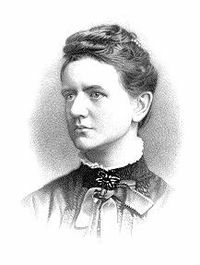 Given my longstanding interest in the use of scientific and mathematical language in literature, it may come as a surprise that I have only recently discovered the poetry of Constance Naden. Naden died very young in 1889 at only 31 years of age, hence her relative obscurity, but she was nevertheless extremely prolific throughout the 1880s as a poet, philosopher, and scientist. Her work was significant enough to elicit the praise of William Gladstone, who dubbed her one of the eight finest women poets of the nineteenth century, alongside such luminaries as Elizabeth Barrett Browning and Emily Brontë. You can find Naden’s writings online in the posthumously published The Complete Poetical Works of Constance Naden (1894), a volume that includes translations of Schiller and Goethe, among others. It seems as though she was something of a polymath. By Avogadro, and by Davy! And how the anthers kiss the stigma. Of thy supernal sinusoidal spell? Cancel me not – for what then shall remain? The inverse of my verse, a null domain. 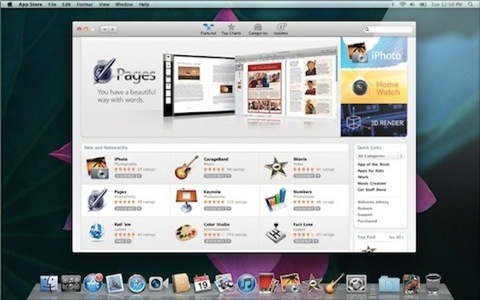 Yesterday, Apple launched the Mac App Store, the latest interface refinement capitalizing on the observation that increasingly, Mac OS X is not likely to be a new user’s first Apple product. Just as we saw iTunes navigation features such as Cover Flow migrate over to the OS X Finder, now we are seeing OS X take after the iPhone/iPad user experience by delivering software via one-click installations. Click on the button to purchase or download an app, and the App Store dumps it in your Applications folder and on the Dock. OS X veterans will note that this is, in theory, a 200% improvement on what was formerly a three-click installation: download the DMG, drag the app into the Applications folder, and optionally dump it on your Dock as well if you are still oblivious to the eldritch wonders of Quicksilver. And in theory, one would think this is one of the best features yet to arrive on the Mac for users and developers alike. The end-user software culture for Mac users has always been very distinctive: unlike the unfortunate bifurcation in the savage lands of Windows, where software is often either a) homegrown and free or b) professional and exorbitantly priced with corporate site licenses in mind (and therefore often pirated), Mac software for the individual consumer is pretty much where it was in the early 1990s: practically anything that Apple didn’t hand you with the system comes from independent development houses, usually in the form of try-now, buy-later shareware, their products reasonably priced. Compared to other platforms, good free software is much harder to find. For this model, digital distribution was a dream come true from its inception, and it would make sense to believe that a centralized distribution channel for downloads and updates only improves on it. In practice, however, there is no advantage to using the Mac App Store for anything that is already available directly from the developers. Apple’s approval process effectively ensures that software updates through the App Store will lag behind the automatic updaters that already exist. Buying directly from the developer relieves them of Apple’s 30% cut for products sold via the App Store. There is also no support for time-constrained shareware trials, which are far and away the best way for developers to demonstrate why their software is worth paying for. Product licenses, thank goodness, are bound to your Apple account instead of your machine; if something disastrous happens to your computer, you can always download your purchases again later, and there is no limit to the number of machines you can install them on. This is still more annoying than the DRM-free status quo of “punch in your product code and we’ll trust you the rest of the way,” but at least with a centralized ID you don’t need to worry about losing your product code. In any case, informed users accustomed to hunting for quality Mac software that didn’t come pre-installed have no incentive to use the App Store at all except for software that is otherwise unavailable. The App Store’s function is to inform everyone else that third-party software even exists. Developers are effectively compelled to push their products onto the App Store in order to remain exposed and competitive, but if they make their products available directly, it’s hard to think of a reason why one wouldn’t obtain them that way instead. Postscriptum. Speaking of third-party Mac software, I am presently composing this post in MarsEdit and finding it wonderful. I may end up blogging more frequently again purely for the pleasure of using it. Daniel Jalkut, the man behind MarsEdit, wrote an informative FAQ about the Mac App Store and what it means for his product. It confirms most of my sentiments above.